ARLINGTON, VA, February 16, 2017 – Secretary Chuck Hagel, former U.S. Secretary of Defense and U.S. Senator from Nebraska, has been elected to serve as a General Director on the PBS Board of Directors. 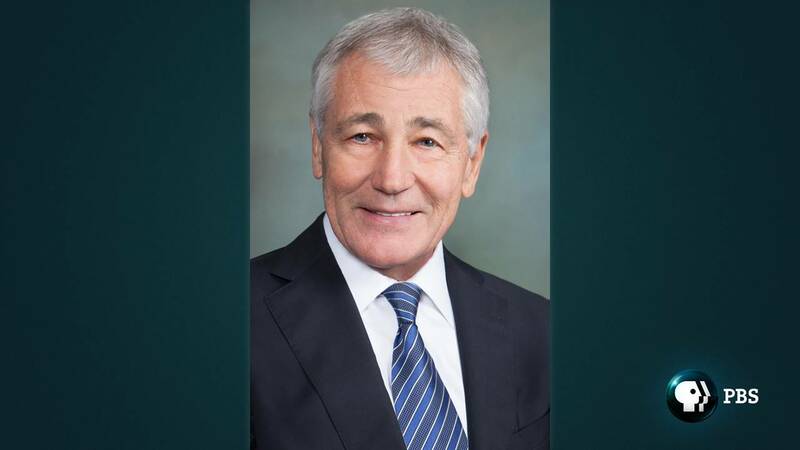 Mr. Hagel served previously on the Board from October 2010 to February 2013, when he resigned to accept his Cabinet position. The 27-person PBS Board includes both Professional Directors, who are station leaders, and General Directors, who serve as lay members of the Board and represent the public. The membership of PBS elects the Professional Directors. The General Directors and Officers are elected by the Board, which also appoints the PBS President and Chief Executive Officer. The PBS Board of Directors is responsible for governing and setting policy for PBS. General and Professional Directors of the PBS Board serve three-year terms and serve without pay.